Check the Ao Nang ferry schedule for your next ferry trip, view pricing and book tickets online. To see the Ao Nang ferry schedule and pricing for your particular trip, select your journey below. There are numerous ferries to Ao Nang from different starting points all along the south west coast of Thailand. 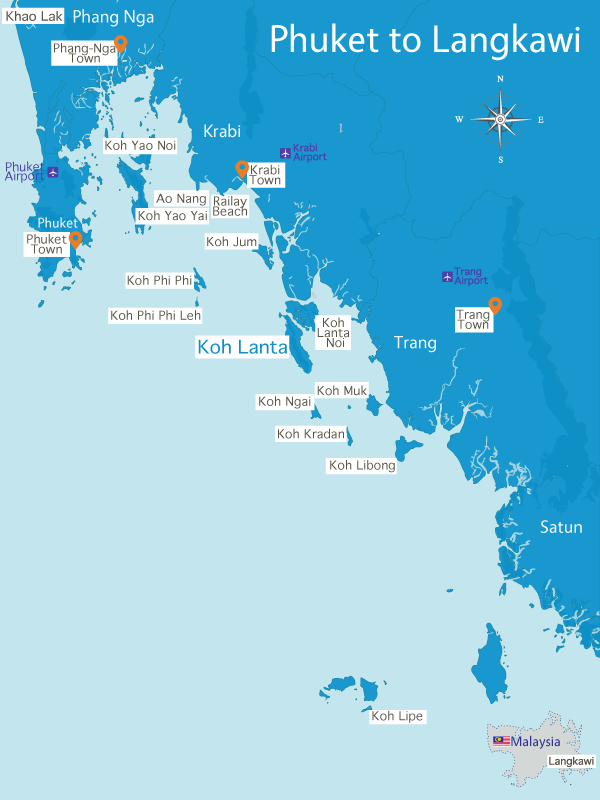 There are numerous Thailand ferry routes along the Andaman coast. Choose where you want to go from the list below to see ferry routes, schedules and pricing to your destination. You can book your ferry tickets online.